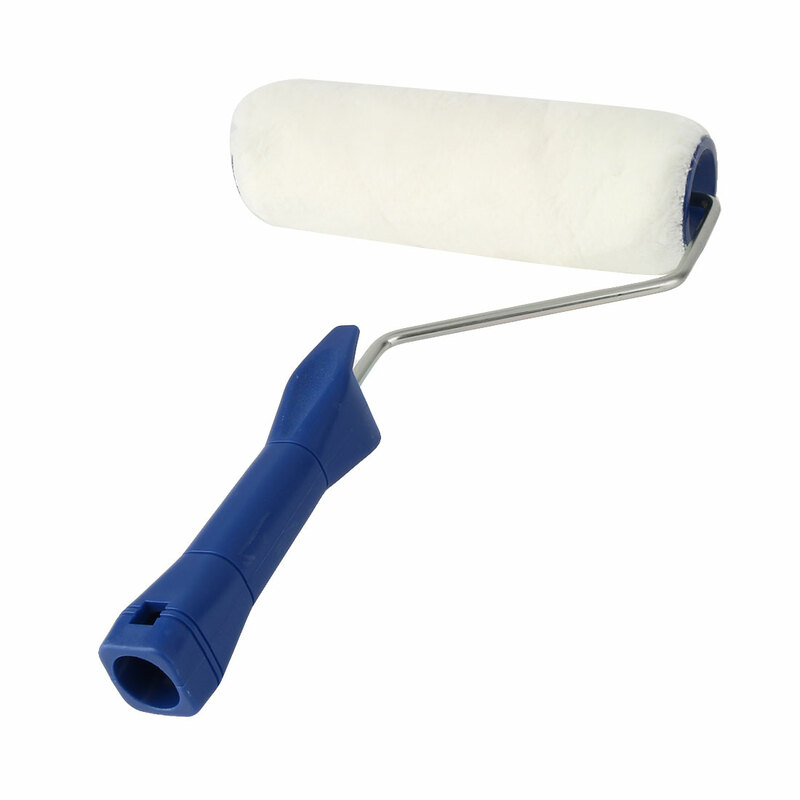 Paint roller brush, features plastic blue handle, metal holder, white plush roller cover. Great tool for painting and varnishing, suitable for use on smooth surfaces, walls, floors, ceilings. Used with synthetic and acrylic varnishes, oil paints, epoxy paints, latex paints, rust protection paints, etc. Store in the upright position after cleaning for repeat usage. You also can hang it on the wall with the handle hole. 1.Due to the light and screen setting difference, the color of items may be slightly different from the pictures.